Colorado is one of the most beautiful mountainous areas in the country. It boasts the best terrain for skiing, as well as fly fishing, canoeing, river rafting, hiking, biking, star gazing and spectacular fall foliage. 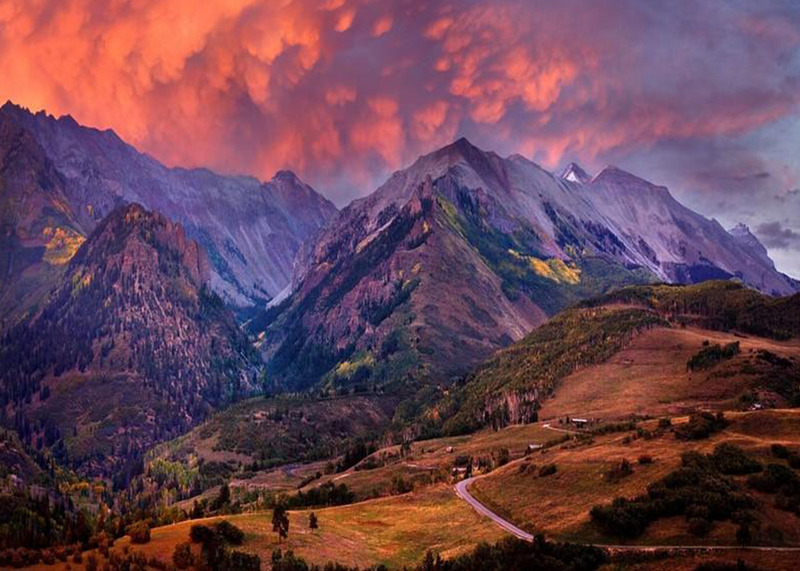 Telluride, in our opinion, is the most beautiful area in all of Colorado. In addition to outdoor sports it offers fine dining, Art, live shows and summer music festivals, and community of locals and ‘transplants’ with astounding backgrounds, all set in a beautifully restored historic western town. The history of the town dates back to 1859 when gold was first discovered here. Lot’s of folks started to Saddle up to Telluride’s Wild West, and our mining hey-day began about 1875. Butch Cassidy rode through with Sundance in 1889 and robbed our town bank. The luxurious New Sheridan Hotel & Bar was built in 1895, and is still ‘the place to be seen’ in town. And our local cowboy ‘Roudy’ still rides his horse into town once a year to have a drink at the Sheridan Bar! With all this, like many things, there is the irony of getting to this place that offers so much beauty, entertainment and history. TellurideFlights was born out of necessity.